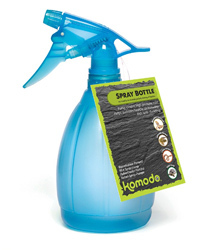 The 550ml Spray Bottle is cost effective and ideal for misting a wide variety of animals. The nozzle adjusts easily from a coarse to fine mist. This is a must have for anyone with reptiles or any animals that require humidity or benefit from being misted on a regular basis.